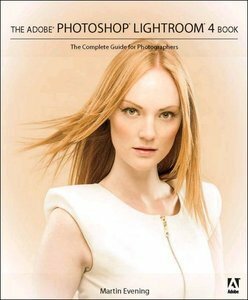 Martin Evening , "Adobe Photoshop Lightroom 4 Book: The Complete Guide for Photographers"
Adobe Photoshop Lightroom was designed from the ground up with digital photographers in mind, offering powerful editing features in a streamlined interface that lets photographers import, sort, and organize images. This completely updated bestseller was also written with photographers in mind. Author Martin Evening describes features in Lightroom 4 in detail from a photographer’s perspective. As an established commercial and fashion photographer, Martin knows firsthand what photographers need for an efficient workflow. He has also been working with Lightroom from the beginning, monitoring the product’s development and providing valued feedback to Adobe.